As many people know I love snowmen! Have you ever seen a sad snowman? They always have a smile on their face! Several years ago, I found cute snowman fabric in lots of different colors and bought some to make a quilt. Since our granddaughter, Grace, is born in January, I thought this would be a perfect birthday quilt for her. As purple is her favorite color, it is backed in purple "minky". It's so cute and so cozy! Despite January's cold temperatures and all it's snow, I love the fact that a new year motivates me to make changes and redirect my life. I am resolved to blog regularly, at least every Sunday, and hopefully more than that. I know it is a valuable way to stay in touch and also a great way to journal the events of one's life. 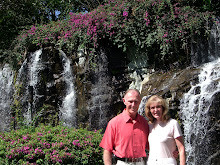 I know that this will make Janie especially happy, as she has been a great encourager for me to get back to blogging. So here is my first post for January 2011! Our stay in the Nueroscience/trauma unit. 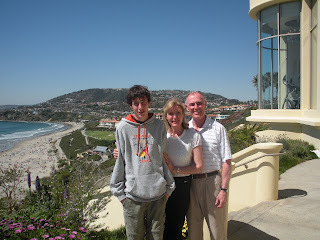 This is Jane Anne, I have been given the assignment to blog about Josh's surgery. This past week has been a rough one. Josh went into surgery for his scoliosis on Wednesday, and 5 hours and 11 fused vertebrae later his back was fixed. 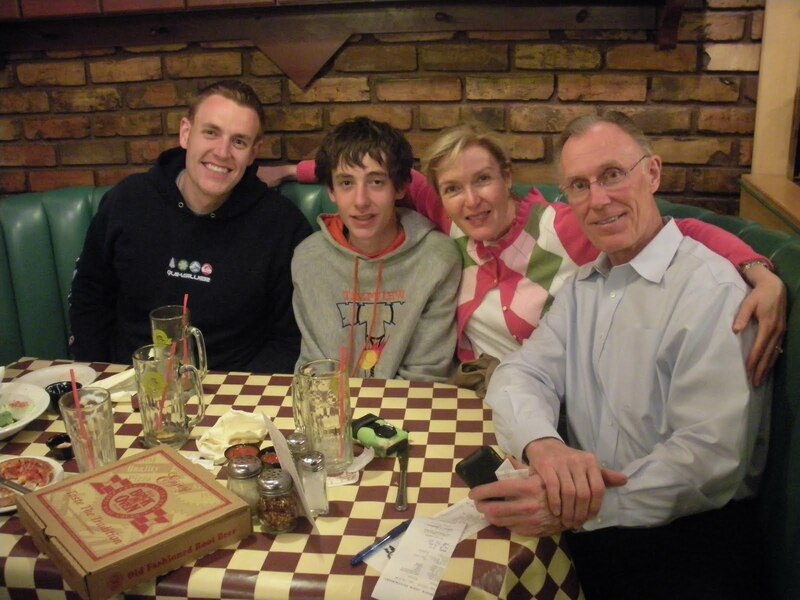 It is a pretty major surgery and so he stayed from wednesday to sunday at Primary Childrens hospital in salt lake. Friday was his 17th birthday, and the hospital was nice enough to celebrate . He is doing well now and is on the (long) road to recovery.We are very thankful for all the prayers and support that we were given. Oh, and he would like everyone to know that he is now an inch taller! Coming in at a whopping 6'2 3/4 " before the surgery Sitting up for the first time. What an incision! 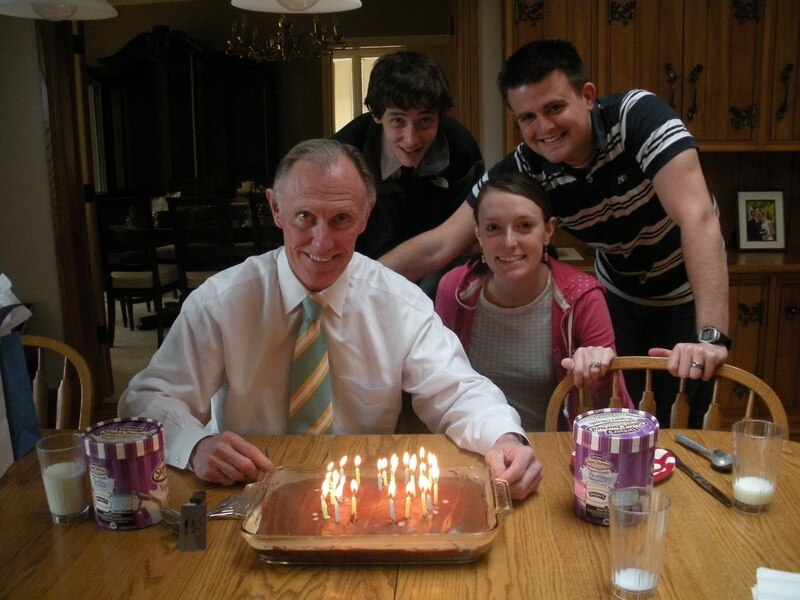 Having a birthday is especially nice when you can celebrate for a whole week! We did just that for Bob's birthday this year. We started out the week by flying to LA to stay at the Ritz for two nights. 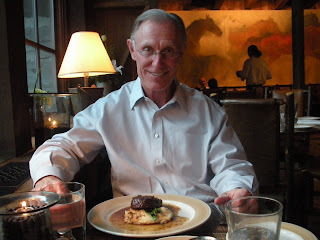 Then on Thursday night, Bob and I went out to the Grill Room in Sundance for dinner (the Tree Room was closed). 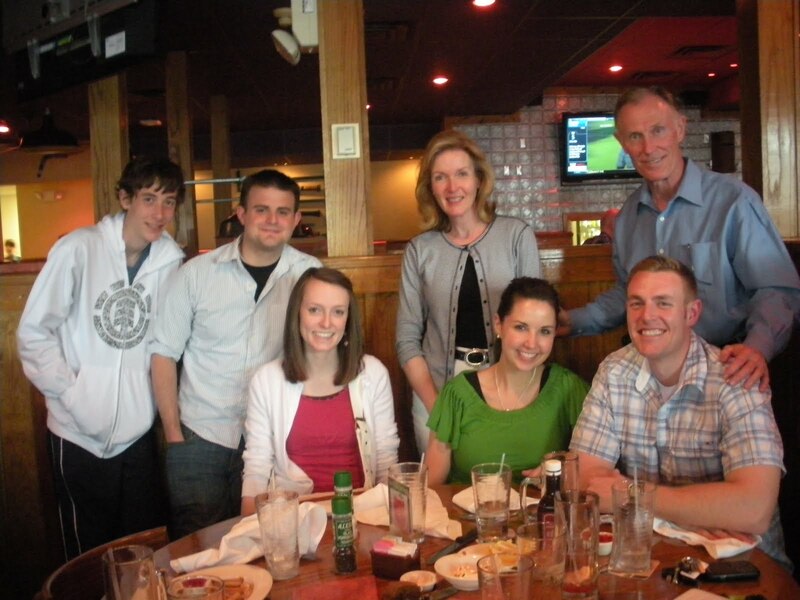 Friday night we went out to dinner and a movie with our married kids while Josh went to a party with his friends. On Saturday night, we went to Outback Steak House and then the play, "Dirty Rotten Scoundrels" with all the kids at the Hale Center Theater. Bob and I had already seen the play once, but it was so delightful and funny that Bob wanted to see it again with the kids! Our toughest play critic, Josh, loved it! Sunday we had our traditional birthday dinner complete with the chocolate cake! It was quite a week! The view from the back of the Ritz! 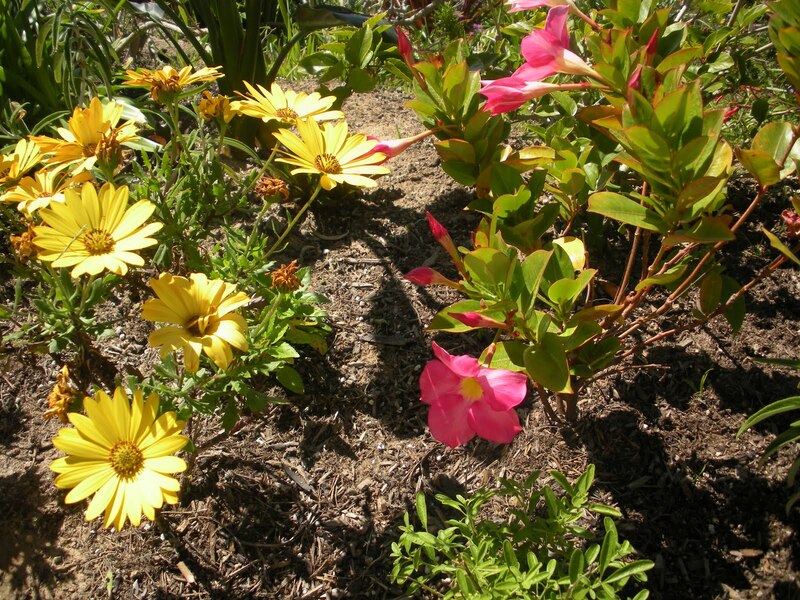 We loved the warm weather, the ocean and flowers! 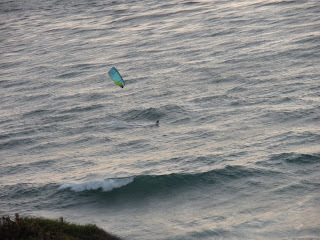 From our balcony, we watched this amazing kite surfer! 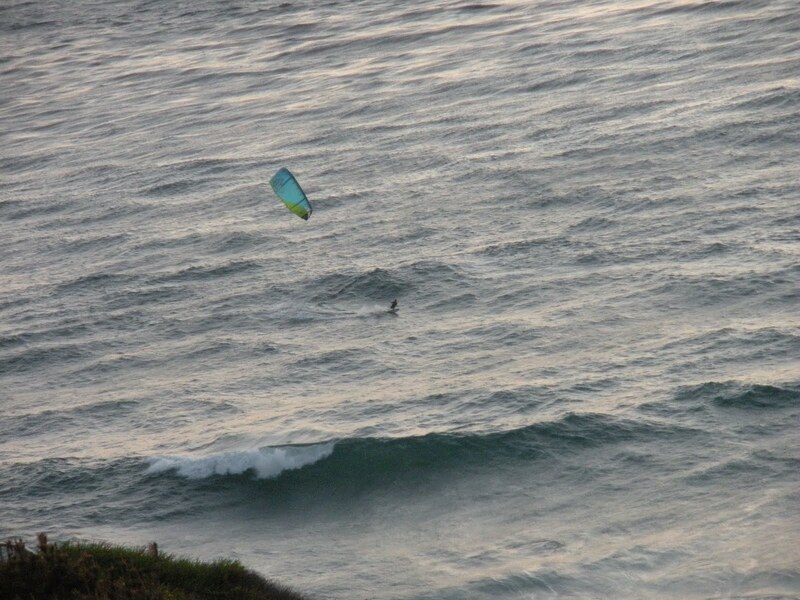 It was awesome how he jumped in the air and criss-crossed along the waves! The view out of our balcony. The hotel sits on a cliff overlooking the ocean! Having a husband who is passionate about golf sometimes has it's perks. Last year, while playing in his favorite, most sacred of all tournaments, the Riverside Country Club Mulligan, Bob scored closest to the hole on #11. 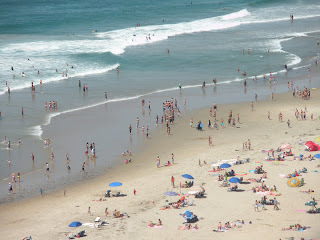 The prize was a two night stay at the Ritz Carleton Laguna Nigel Hotel in California with $250 to boot! Well, through all of our long snowy cold months, Bob has been dreaming of warm weather and going to Laguna to stay at the Ritz. 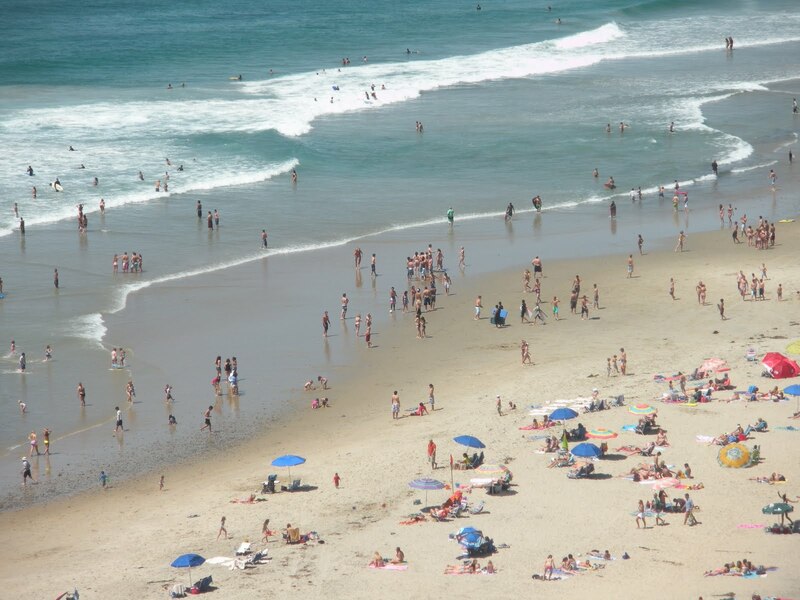 This month, for Spring Break, that's what we did! We flew with Josh to LA and then stayed for two glorious days. We ate some wonderful meals, went to Disney's California Adventure Theme Park and relaxed by the pool all the while it was a blizzard here in Provo! Can't wait for this year's tourney... I won't even mind all the "practice" rounds of golf leading up to it! One of the perks of being in a Stake calling is attending the training meetings held by the auxiliary's General Board the week before General Conference. Our presidency went to Salt Lake yesterday (in the blizzard) to the tabernacle where our meeting was held. 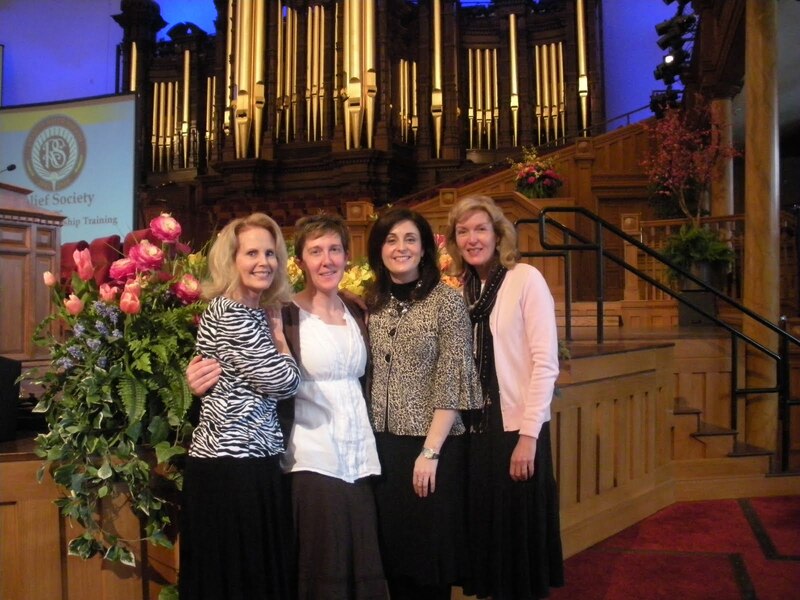 It was fun to be together and to also see the General Relief Society Presidency in action. They are wonderful women with such spiritual insight, strength and humor, too! 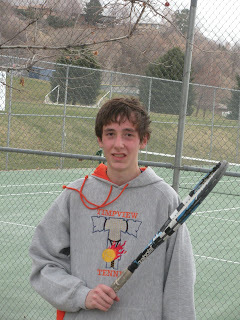 The newest member of the Timpview JV tennis team, just after winning his first match!! This is the cool (or should I say HOT?) 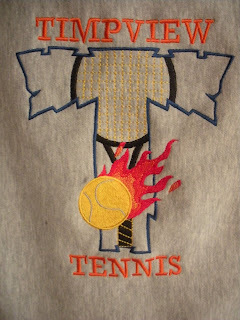 logo for the team's sweatshirt. 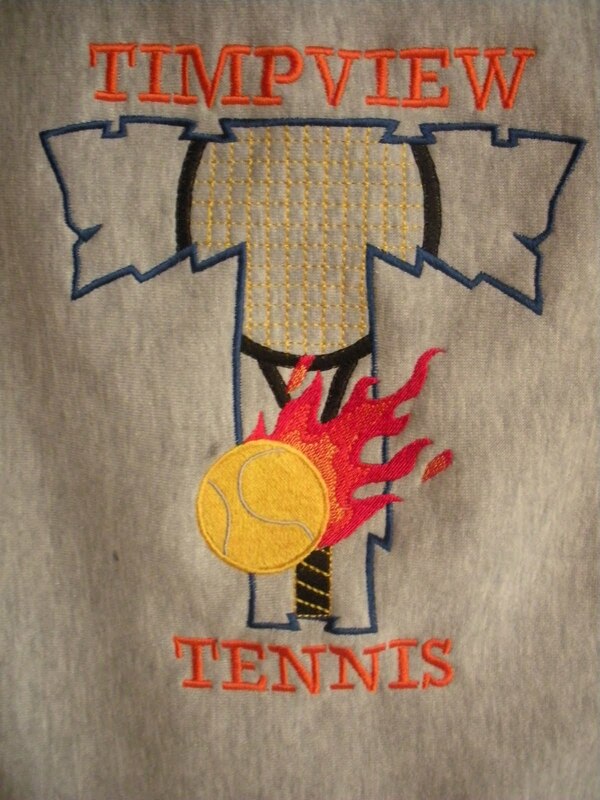 Don't you just love the flaming tennis ball? Sometimes the stars align and dreams really do come true. For the last several years, Josh has taken tennis lessons in hopes of being able to play on the Timpview tennis team. He tried out as a freshman and didn't make it. He tried out this year and made the first and second cuts but, sadly, not the last. The coach told him that he wanted him to try out again next year and that his sons, the assistant coaches, had wanted to keep him. Josh took all this well and when I asked if he wanted to continue taking lessons he said "Yes" and that he wanted to try again next year. 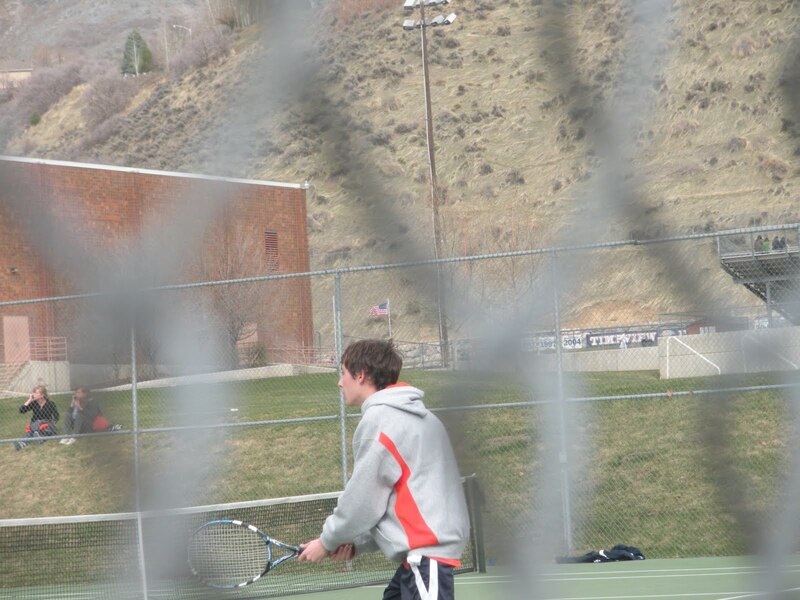 Well, this week-end, there was a message left on our message machine from the Timpview tennis coach, Rob Sperry. He had seen Josh last week-end at Matt Jackson's farewell. Josh talked with him and didn't think much about it. But, the next Saturday, there was a message from Rob. He told Josh that he had made a mistake and wanted to invite Josh to join the tennis team!!! We were thrilled and shocked! We had never heard of anything like this happening! 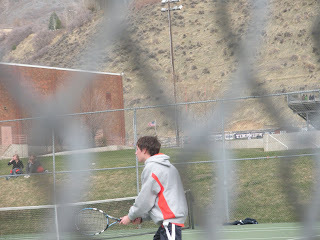 Well, today Josh played his first match and won!!! 8 to 6! Afterwards, we went out to dinner to celebrate and Ryan and Becca joined us. We are so excited for Josh! Lots of exciting times ahead! Bob and I have been married now for 35 years. We are the parents of six children, 5 sons and 1 daughter. Only our 18 year old son, Josh, is left at home. We have nine darling grandchildren. I enjoy crafting, reading, sewing and spending time with my family. Bob is a busy orthopedic surgeon who loves his family and the game of golf!